Today, August 29, 2016, the Division of Emergency Medical Service (EMS), in collaboration with Project DAWN, will begin a pilot program that will dispense Project DAWN Kits to qualified individuals at Cleveland EMS Headquarters. To qualify, an individual should be seeking the kit for themselves, a family member, friend, or loved one at risk for opioid overdose. A Project DAWN Kit includes three doses of naloxone hydrochloride medication. Naloxone hydrochloride is a medication that is used to reverse the effects of opioids (including but not limited to, heroin, fentanyl and analogs). The pilot program will begin with dispensing of the Project DAWN Kits at the Cleveland Division of Emergency Medical Service Headquarters at 1701 Lakeside Avenue, Cleveland, Ohio 44114 starting today, August 29th, 2016. Project DAWN Kits will be distributed Monday through Friday from 9:00 a.m. to 4:00 p.m. The Cleveland Division of EMS is the first public safety entity in the country to dispense naloxone kits to the greater community. 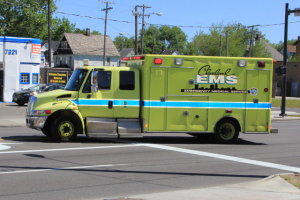 The City of Cleveland intends to expand the pilot program over the next several weeks to include Project DAWN Kit dispensing from all EMS ambulances while on emergency calls for those at risk of opioid overdose. Further information will be released as the program expands. Fridays 1:00 p.m. – 5:00 p.m.
Project DAWN is a collaboration between the Alcohol, Drug Addiction, and Mental Health Services (ADAMHS) Board of Cuyahoga County, MetroHealth Hospital, Cuyahoga County Board of Health, and Ohio Department of Health. Project DAWN is a community-based overdose education and naloxone distribution program that was created as a way to combat Ohio’s opioid overdose epidemic.